Now completely revised (over 90% new), this definitive practitioner reference and course text comprehensively reviews evidence-based treatments for psychological disorders in children and adolescents. The significantly expanded fourth edition covers an increased number of disorders, as well as transdiagnostic issues and public health concerns. Psychosocial, pharmacological, and complementary therapies are identified and described in well-organized chapters that include rich clinical illustrations. Prominent experts address developmental considerations in treatment and offer guidance for tailoring interventions to each child and family's needs. 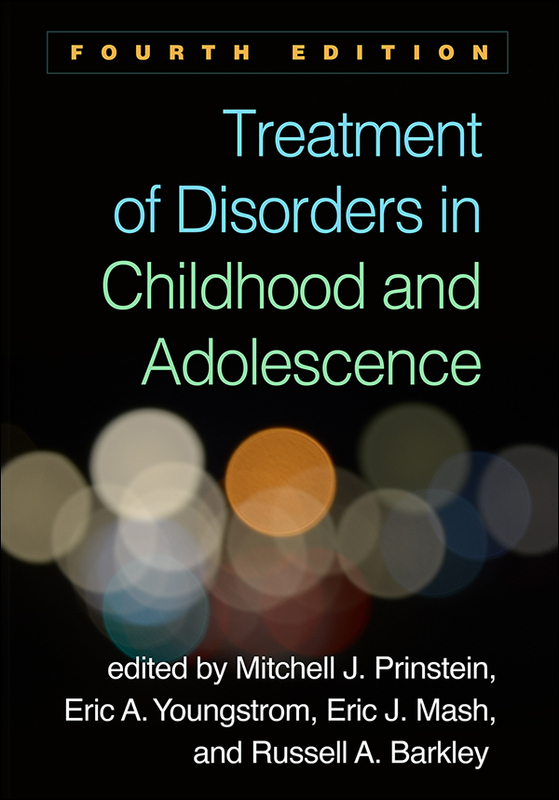 Prior edition title: Treatment of Childhood Disorders, Third Edition, edited by Eric J. Mash and Russell A. Barkley. All chapters are new, reflecting over a decade of clinical and empirical developments. Chapters on additional clinical issues: bipolar disorder, suicidal and nonsuicidal self-injury, obsessive–compulsive disorder, infant and toddler problems, posttraumatic stress disorder, coping and emotion regulation, bereavement, early-onset schizophrenia, personality disorders, childhood obesity, and sleep problems. Chapters on case conceptualization and evidence-based therapist flexibility. Illustrative case examples and transcripts added throughout. Updated for DSM-5; every chapter also considers transdiagnostic and dimensional issues.